At home in a number of decorative styles, the Luella Collection will be the perfect match for your living space. Zinc table top is supported by X-frame bases in this casual dining offering. 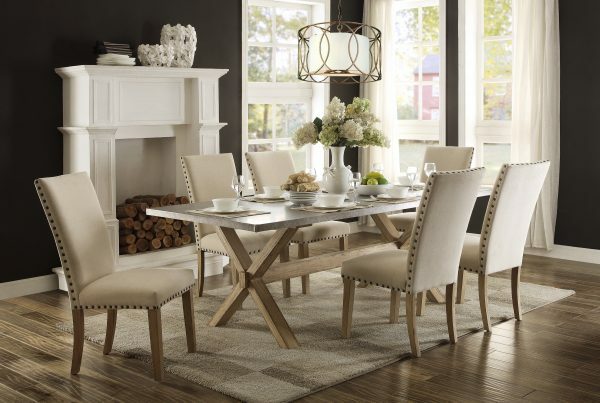 The table is flanked by coordinating chairs, each with a neutral tone fabric and nailhead accent. 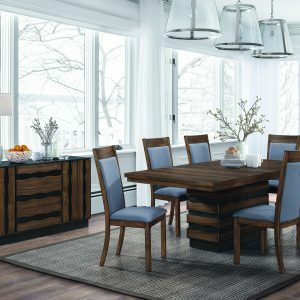 Completing the look is a cool weathered oak finish that serves as the perfect contrast to the natural grey tone of the zinc table top.